The Odyssey School was founded on the belief that children learn differently from one another and that each child should be educated according to his or her strengths. The school had its inception on a summer evening in 1993, when a group of concerned parents found themselves without a school that could meet the needs of their children. These motivated parents gathered and founded a new school for their children who were struggling in their current academic setting. They were committed to the ideal that their bright and capable children could find success and joy in learning, given the right environment. Recognizing the strengths and creative talents of their children, the parents were dedicated to creating a school environment where students were nurtured and felt the safety of spirit to stretch and challenge themselves. Over the years, the capabilities and successes of our students have earned them acceptance into a myriad of schools where they have continued to grow their talents and contributed significantly. In 1993, a group of parents found themselves in search of a school for their children who were struggling in school. Recognizing the need for an educational setting where their children could be understood and supported, these motivated parents embarked on the challenge of beginning a school for children with dyslexia and other language learning differences. 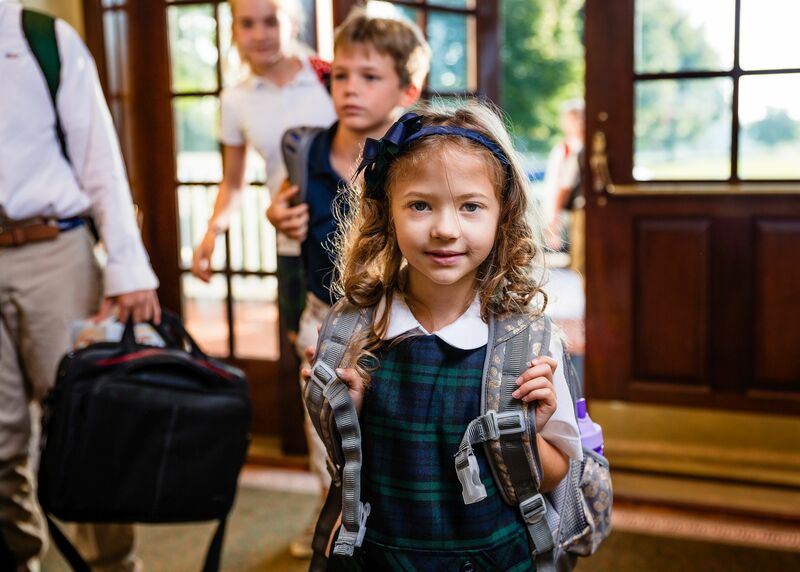 The School’s name was conceived by founding parent Lara McLaughlin to convey this understanding of the journey of challenges and ultimate successes that children with language learning differences face every day. When reading Homer’s account of Ulysses’ heroic journey home from the Trojan War, Lara and her son realized the parallels between Ulysses’ journey and her son’s journey with dyslexia. The name Odyssey also served as a reflection of the journey our founding families undertook in order to build a school uniquely designed to maintain the spirit of the Odyssey community and to provide excellence in education. Through hard work and with a devotion to children with language learning differences, the School was able to open its doors in 1994 to 20 students. The founding families were insistent on finding passionate and dedicated teachers, and committed to instilling in children a sense of belonging, self- determination, and a feeling of competence. In the first few years, the School was located in a large home on Roland Avenue in Baltimore. Walking through its front doors, students and teachers immediately felt right at home, supporting each other in a family atmosphere and recognizing that everyone was there wishing to learn and to succeed. As the strong close-knit community developed, the School flourished and students thrived. Enrollment quickly grew to 83 students with a substantial wait list and a need to expand its facilities. Spurred on in the spring of 2000 by a generous gift of 42 acres of land in Stevenson, Maryland from the Greenspring Investment Group, LLC, the School conducted an $8.5 million dollar capital campaign for the construction of a new building that maintained the look and feel of a home and the benefits of a dynamic and inclusive community. The School moved from the Roland Avenue location to the Greenspring Valley in Baltimore County, where The Gordon R. Jones Hall, the School’s main academic building, opened to 121 students in September 2002. This building was named for Odyssey Trustee Gordon Jones to honor his extraordinary vision and deep commitment to providing the best possible education for dyslexic students. Odyssey currently has an enrollment of approximately 160 students who come to school from surrounding counties and Baltimore City. Odyssey continues to grow as a vibrant community on a beautiful campus where children have opportunities to explore the woods, stream, and open meadows that surround the school campus. The new school is a state of the art facility with well equipped classrooms, a large gymnasium, advanced technology, science labs, a performing arts theater, and athletic fields.